Boca Villas is a unique, family-friendly community located right in the heart of Downtown Boca Raton near Mizner Park. This beautiful community was originally developed in the 1950s and still carries the charm and character that was so prevalent in that wonderful "Old Florida" era. Encompassed with tall, mature trees and lush, tropical foliage, Boca Villas boasts all of the qualities that residents look for in South Florida living, as well as an unbeatable location that is within walking distance to the beach as well as the fun and excitement of downtown. With over 400 single-family homes, Boca Villas is known for its wide selection of homes with unique architectural styles and layouts. Around every corner of this lovely community is another unique and original design perfect for each and every taste, such as Mediterranean or Tuscan-inspired custom-built estate homes, or more Classic-inspired single-level homes. Homes for sale in Boca Villas vary greatly in size, generally offering between 1,000 to just under 5,000 square feet of living space. Situated between Mizner Park and the Intracoastal Waterway, Boca Villas has one of the most highly-desirable and walkable locations in all of East Boca Raton. The community is perfectly situated on the Northern edge of Downtown Boca Raton, conveniently surrounded by some of the best dining, shopping, and entertainment venues that South Florida has to offer. Boca Villas is also zoned for some of the best-rated schools in the area, making it a popular choice among home buyers with school-aged children. The community is also just a short drive from 1-95 and Florida's Turnpike, making it easy to access the surrounding South Florida cities as well as the nearby International airports. With an amazing selection of unique homes and a truly unbeatable East Boca location, Boca Villas is arguably one of the most desirable communities in Boca Raton. If you think Boca Villas would be the perfect place to call home, you may want to visit similar single-family home communities in East Boca, such as Spanish River Land and Boca Raton Riviera, which also provide an incredible selection of homes for sale in an excellent, highly walkable location close to the beaches and downtown Boca Raton. If you would like to learn more about Boca Villas or any other luxury home communities in Boca Raton, please call us at 561-998-9015. You may also reach us by completing the simple online contact form below and one of our expert Boca Raton real estate agents will be in touch with you shortly. We at Champagne & Parisi Real Estate are committed to providing unparalleled customer service and the highest level of professional skill & expertise when helping our clients achieve their real estate goals. We would be delighted to have the opportunity to work with you as well and to show you the exceptional level of service that you deserve when buying or selling a home in Boca Raton. 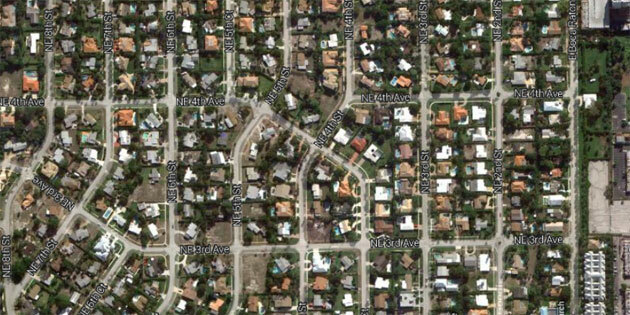 Click here to view a complete list of Boca Raton single-family home communities.